More than ever before, corporations are focused on project management and performance improvement techniques to fix long-standing inefficiencies in operations. The problem is that as these methodologies expand throughout major corporations, executives are finding that Project Management Offices (PMOs) and other improvement groups have their own problems with inefficiencies. Not every project comes to a successful conclusion. Projects are completed late, come in over-budget, are only partially completed or have their benefits overstated or badly estimated. Some projects may even complete successfully, such as a more effective way to manufacture a part, but the new process may not make it into production. Needless to say, the C-Suite is not happy. According to one study, 67% of corporations feel that project results are inadequate. Today, we’re going to look at why PMO performance can decline over time. Cost: Raising the requirements for certification and education has a cost. For a new PMO that is building its initial staff, there is a temptation to request as many qualifications as possible, because you don’t know if or when you will get more staff. Raising the bar for educational requirements means higher pay, more training and testing. By all means, ask for the right qualifications, but when you ask for more… are you sure it will deliver a tangible benefit? Time: If you have an established PMO organization, it takes time to train everyone. Don’t just account for the time to attend classes and pass tests. If you believe that this training will change the performance of your group, you need to allow the time for the training to be absorbed by the trainees (three months, six months? ), time to re-write your group’s documentation and processes so that they reflect better management of projects, and the additional time that every project will require when you follow a more rigorous set of procedures. Effectiveness: Ultimately, will increasing the requirements for every project manager prove to be the most effective way to improve the success, the cost and the timeliness of projects in your organization? Does your PMO lack an understanding of how to management projects or does it not follow its own procedures? Will education of the staff change this, and by how much? When a PMO is implemented in a corporation, it rarely leaps fully formed into production. It takes time to sell the idea to the firm, and the first version of the PMO is usually quite limited. Still, even a limited organization can have a big impact. The earliest projects in your portfolio likely to have: a high degree of urgency, strong agreement, and exceptional visibility. When PMOs survive this first round of projects, it sets a pretty high bar for expectations, in terms of savings and impact on the organization. But these early projects were less complex and enjoyed greater support than many of the projects that followed. Your PMO is becoming better skilled. However, the change in the quality of projects makes it appear that your results are flattening out or are on the decline. When seeing this trend, many PMO managers assume that boosting of skills and training can overcome increasing organizational friction. And it might. But there may be better options. Rather than focusing on the qualifications of your staff, let us instead consider the value of the projects in your project portfolio. Project management bears a great deal of similarity to gold mining. Gold strikes are often “one-offs.” The gold could be a single nugget, or it could be a vein of gold that runs for a few inches or for miles. What you can see today only hints at all that is in the mine, because the mother lode hidden out of sight. Some mines don’t have a single vein of gold, instead the gold is scattered throughout the mine in tiny particles. 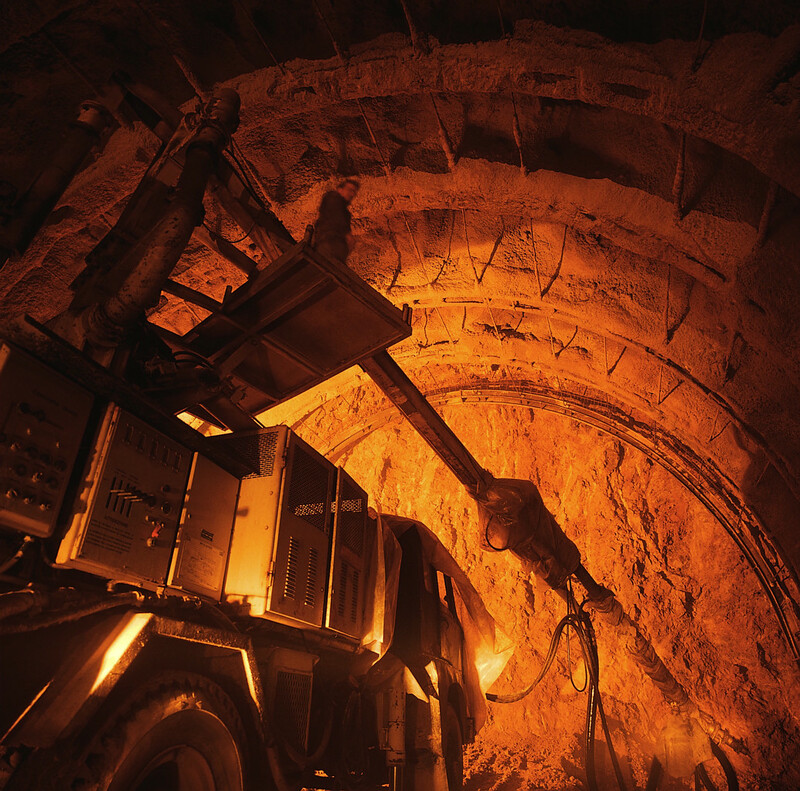 Some of the most successful mines were “mined out,” but later revisited when new technology could profitably work a mine with lower concentrations of gold. Early success in your PMO may have “mined-out” the easiest, most profitable and least resisted projects. As your PMO expands, the decline in benefits and project success rates may merely reflect the changing concentrations of “gold” in your project portfolio, leading to a declining value per project. Demanding more credentials can bring about some improvements, just as digging deeper might deliver more gold. But, if your PMO already contains a good deal of expertise and consistently follows its processes, the degree of improvement from adding more skills may be very incremental. Especially if the source of your decline is the changing nature of your projects, rather than the expertise of your project managers. Lets go back to our analogy of the gold mine. If your mine started out with a big vein of fold, but that vein was quickly exhausted, continuing to use the same mining techniques or even “doubling down” and increasing your mining operations may not be very productive. A gold mine may change mining techniques over a long period of time, changing techniques as the extraction of gold changing the mine from a large vein, to pickets of gold nuggets to fine particles trapped in tons of matrix materials and earth. A PMO may start with high-visibility projects with big benefits, powerful advocates and universal support. Over time, this vein of projects may be exhausted, and you will move on to projects that are perhaps less connected, sort of “nuggets” that may not be quite a high profile or high benefit. When these projects become less frequent, they may be replaced by projects without a specific financial or performance benefit (“cost of doing business” or mandatory projects, required by a law or regulation, or perhaps by internal rules). Other projects may have increasingly difficult politics or other constraints. Over time, a PMO might need to change techniques, as success in projects becomes more elusive. Matching the process to the project, and the PMO to the culture, is important. Well-known tools such as the Project Management Institutes PMBOK is not a true methodology. It is just a body of knowledge…. a cookbook. It is up to the PMO to take these tools and convert it into a methodology that works in your organization. Unfortunately, when we look at the numbers it appears that most PMO’s have failed to match their methodology to their project portfolio. One source claims that only 5% of projects are completed on-time and on-budget. A study of Six Sigma projects identified a failure rate of between 30%-80%, and studies of PMP led projects provide similar failure rates. Remember that many studies only use one or two criteria for a successful project or are based on a vague definition of success. Fully successful projects (on time, on budget, with the expected return on investment) might be even harder to find. PMOs are almost always a big advancement over whatever process they replaced. However, as many of the PMO managers know, few pre-PMO efforts produced any reliable project statistics. The development of PMO is a BIG step forward. But the C-Suite is not always aware of these nuances and is unhappy with the results that most PMOs are delivering. the next blog, we’re going to look at how technology can help us find new value in our gold mines…. Ummm… I meant project portfolios. That’s my story, and I’m sticking to it… and that’s my Niccolls worth for today! This entry was posted in Best Practices, Delivering Services, Expectations and Rewards, Improvement, Continuous or Not, Learning and Development, Unique Ideas and tagged PMO, Project Management, Projects, Quality, Six Sigma. Bookmark the permalink. 2 Responses to Have You Mined-Out Your Project Portfolio? With respect to education I suggest to deliver specific education to project participants on the tools required for that particular project rather than provide generic education (say Green Belt) for everyone. Eventually, those who have participated in several projects may profit from attending a Green or Black Belt course.